The Methodist Women’s Hospital CT and MRI have been reaccredited by the American College of Radiology (ACR). The Rev. Daniel Johnston isn't praying for a miracle. He's just praying to shoot it better than Shaq. 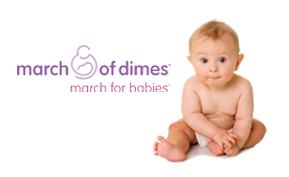 Methodist Health System is a proud sponsor of March for Babies, a major fundraiser for the March of Dimes. This family-friendly event is set for Saturday, April 26, at Lewis and Clark Landing. Do you have questions about menopause? Providers from Methodist's Menopause Clinic will answer questions at this informal chat in the Methodist Women's Hospital cafeteria. Methodist Health System and Rebuilding Together bring volunteers and the community together to improve homes and lives of low-income, disabled and elderly homeowners. No experience is necessary -- just a willingness to help. Methodist Jennie Edmundson Hospital will hold its annual free PVD (peripheral vascular disease) screening on Thursday, April 3, 5-7 p.m. Space is limited, and preregistration is required. 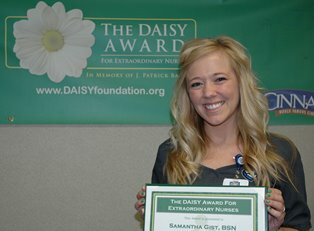 Sam Gist, a nurse on the Oncology Unit at Methodist Hospital, was honored at a recognition ceremony on Tuesday, March 11, as the March DAISY award winner. Learn about colorectal cancer and how cancer screening saves lives at the next Science Café on Tuesday, March 11, 6 – 7 p.m. This year’s Pulmonary Rehabilitation Week theme, “Better Breathing, Better Living,” honors healthcare professionals who guide and support the rehabilitation of those with lung disease. The Affordable Care Act has lumbered through the first few months of its marketplace enrollment and picked up the pace in recent weeks. Omaha Fashion Week kicked off its seventh year. Wednesday night, the models weren't your typical men and women though. 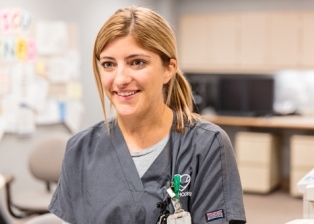 Chaeli Fortina, RN, on Methodist Hospital's 7 North Intensive Care Unit, was honored at a recognition ceremony on March 5 with a Green Cape Award from the Nebraska Organ Recovery System.